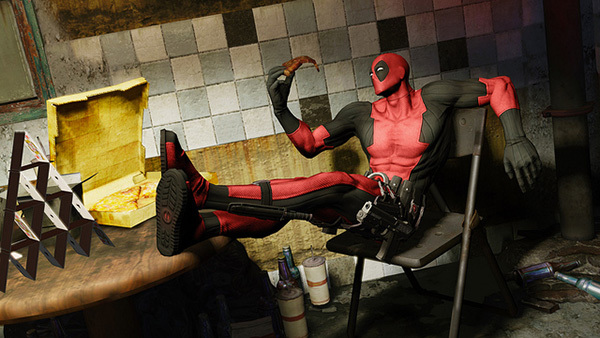 A recent PlayStation Blog post from the Game Director of Deadpool, Sean Miller, aims to shed light on the highly anticipated title by giving players insight into what it has been like developing a game for the Merc With A Mouth. Deadpool continually battles with the multiple personalities bursting out of his uniform, and as a result, the game will see many drastic locale changes. He’s a man of nearly infinite possibilities, so if you aren’t expecting the unexpected you might be in for a jarring experience. Once players gain control of the mercenary they begin the game with a normal gun-for-hire mission, but quickly find themselves on the island of Genosha. For Marvel fans, they may notice that this is the site of the mutant massacre from the comics. So, how will you be saving yourself from the mutant genocide? It’s simple really. Deadpool utilizes a deadly mix of “fast, frenetic, adaptive, and always entertaining” combat that aims to give fans the control they deserve. Players will be able to enjoy elements of the best action brawlers combined with solid third-person shooting. Deadpool will be able to switch effortlessly between melee, and gunplay, as you get in close to your enemies, but you can always pick enemies off long range. I guess it will just depend on which voice you decide to listen to at the moment. In addition, players will have access to a deep upgrade system that enables access to new weapons, combos, upgrades, and abilities. Deadpool appears to be in phenomenal hands with High Moon Studios, and their passion for our favorite psychotic mercenary is something that brings me personal comfort. With the game’s summer release date approaching, gamers should be able to expect more information to roll out over the coming months. Be sure to drop us a line in the comments below and let us know what you think!